The alarm blares and my eyes struggle to open. Immediately my mind is flooded with thoughts about the day ahead. Will there be enough time to get it all done? I shuffle my feet along the carpet, willing my body to go towards the bathroom door rather than turning back towards the warmth of my bed. The darkness outside only contributes to my sense of grogginess. 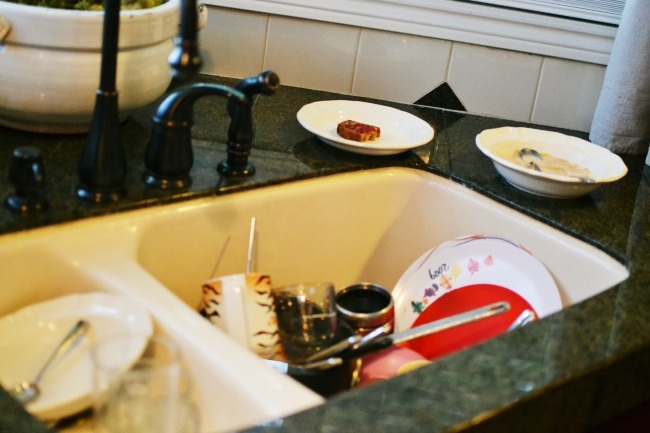 Coming down the stairs and into the kitchen, the first thing to greet me are the dishes in the sink from last nights’ dinner. There wasn’t enough time or enough energy to wash them before going to bed. We race through our morning routine of drinking coffee, packing lunches, drinking more coffee, getting homework into backpacks, drinking even more coffee and getting out the door…coffee in hand. Am I doing enough for them? Are they getting enough of what they need? Am I equipped enough to be the mom they need me to be? Back home again where the row of laundry baskets wait for me, mockingly, at the top of the stairs. I open the lid to the washing machine and the stale smell of damp clothes hits me. I forgot to put that load in the dryer yesterday. There was enough going on to distract me from completing that simple task. Now I have to wash it again, forcing the pile-up of laundry to grow like cars in a traffic jam. Opening my laptop I’m greeted by business emails. Deadlines, commitments, requests, dream opportunities. All good stuff. All things I’m excited about, honored by. All things that leave me wondering if I’m good enough. I think about one dream…that one that seems so far fetched and yet is becoming increasingly more within reach. There is no way that I have enough of what it takes to make that dream a reality. Hopping to my personal emails, the onslaught continues. Field trips, volunteering, church commitments, swim meet schedule, basketball practice schedule, fundraisers. Is there enough of us to go around? I scan through them trying to decide what I can weed out before my exhausted husband sees them. Not only is he working his regular job but now with his boss battling cancer, he’s been asked to step in as the interim manager. He’s overwhelmed already and I long to spare him from becoming even more so. Am I doing enough to help him? I start to make a grocery list, willing myself to remember the things I supposedly made ‘mental notes’ of throughout the week. I’m quite certain I will still leave the store without much needed items which I won’t realize I forgot to buy until I’ve already reached home. And suddenly it’s all too much. I sit at my kitchen table, everything running through my head. The needle on the record player in my mind stuck on the same phrase. You’re not enough, you’re not enough, you’re not enough, you’re not enough. I know that it’s not true….I think I know that it’s not true…I should know that it’s not true. But somewhere between knowing it and feeling it there is a breakdown. I’m becoming more and more convinced that the breakdown comes as a result of my doubt. In the quiet moments, in the darkness, in the recesses of my heart, I doubt that God truly loves me just as I am. That He wants me to come to Him and just ‘be’. That He doesn’t have a list of requirements and expectations waiting for me. That I am enough for Him. Simply writing out those words brings the tears. And yet, His letter to me tells me the truth. Reveals just how wrong I am. What would it be like to be quieted by His love? To feel Him rejoicing over me with gladness? I want to tell you that I know that feeling. But if I’m being honest, I’m not sure I have ever really, truly allowed Him to do that for me. But lately, there’s been a change. Slowly, very slowly, I’m coming to realize two things. Confused yet? Well, you see, there’s an interesting dichotomy that occurs when we embrace the truth of His love. On the one hand, we are made aware of the fact that without Him, we are nothing. Have nothing. Totally shallow, emptied, nothing. Like branches split from a tree during a storm and lying on the ground. They will not continue to grow and flourish without being connected to the roots…to the vine. So, we have to come to that place where we recognize our deep need for Him. A need that was created by Him and can only be filled by Him. We aren’t enough. WE aren’t enough. But HE is! He is enough for us. There’s another hand though. The piece that makes it such a dichotomy. Because, at the same time, He tells us that, in fact, we are enough. 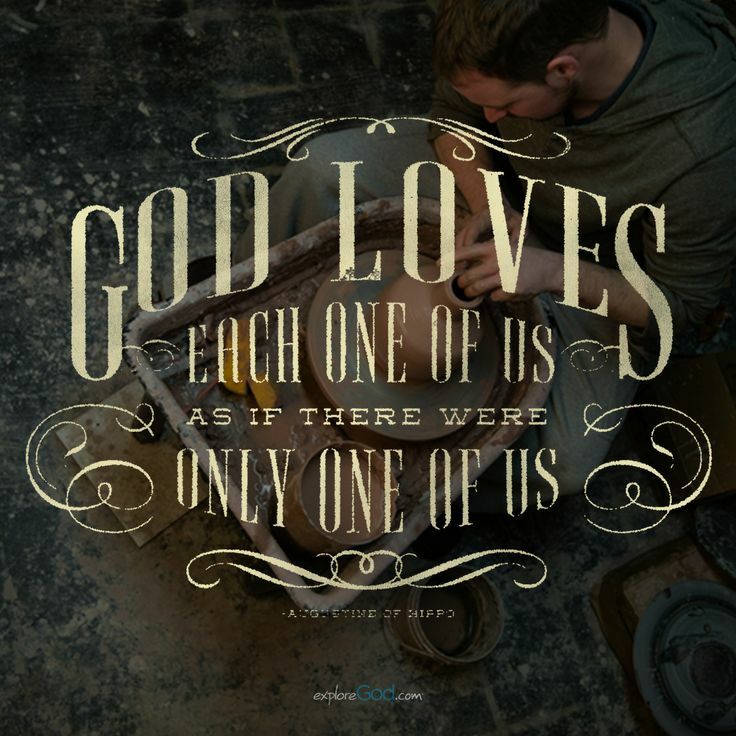 We are loved and cherished. We were worth the sacrifice of His Son. He ‘exults over us’. We are able to come to Him, just as we are and simply receive. This dichotomy, this two sides of the grace ‘coin’ is a mystery that I haven’t fully come to understand. I honestly don’t know that I ever will. 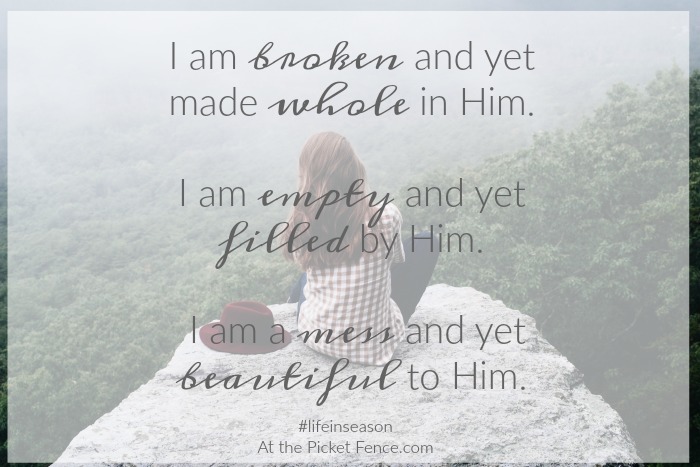 I am broken and yet made whole in Him. I am empty and yet filled by Him. I am a mess and yet beautiful to Him. 15 Comments on "Enough is Enough"
My favorite verse : Zephania “He will rejoice over you with singing”. When my son was in Iraq the first time. he called home one day and asked “Does God sing?”. God had recently been speaking to me through this verse, so I could quickly answer, “Yes”. This verse means so much to me – and assures me of HIS love. Another beautiful message from you. I have always loved the thought that God hears our prayers and loves us as if we were His only child. I pray you will be able to “Be still” before Him each day and let His strength fill you to do all that is enough each day. 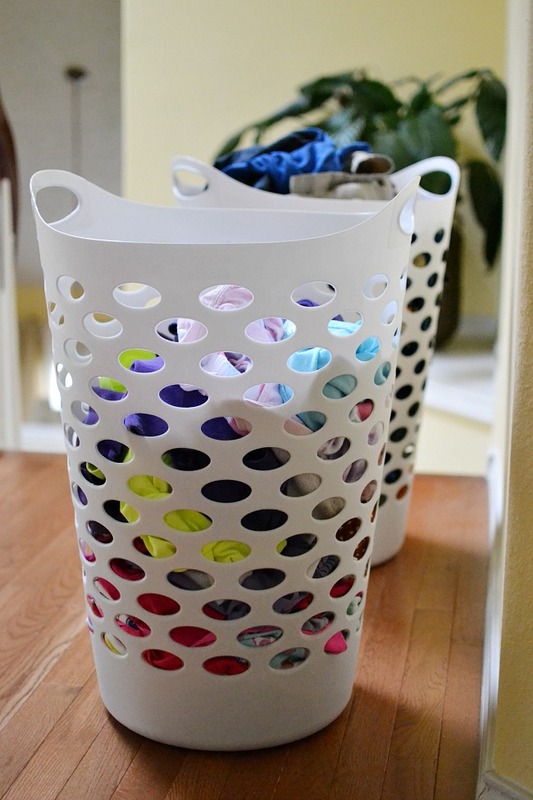 (On a lighter note, you have cute laundry baskets). What a beautiful post and a wonderful reminder. Thanks so much for sharing! What a wonderful reminder that WE are enough because HE is enough. I needed to read this today! Praying today that the Voice of Truth drowns out the lies of the enemy! I so needed to read this message today. Thanks for sharing. Thank you so much for these words. I needed them! Thank you for sharing your heart today Vanessa. It’s exactly what so many of us are going through right now in this Age of Busy. How are we all keeping it together? WHY are we all keeping it together? What is this busyness all for? I keep pondering that in my head, and my to-do list just keeps growing. It’s not what God intended for us. He wants us to be still and know, right? I am learning how to be still, but man it’s hard. Thank you for sharing! I love the scriptures too. I’m older but I do remember those days. Above all, spend time with God and with your family. 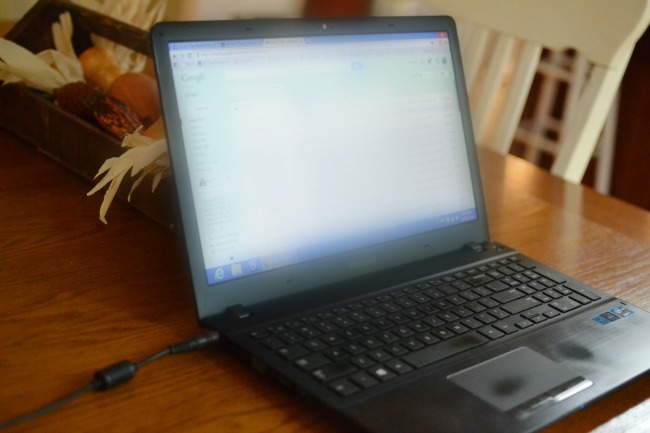 The other things are less important and it will all be ok…the laundry will get done, meals will be made (perhaps adjusted a bit if you forgot something) and emails can be deleted. 🙂 Making memories with your kids and having a date night with hubby are priorities. Yes! You are enough…you do enough…and God is in your corner. Beautiful post, Vanessa. Thank you for sharing your heart. Great post and a nice reminder! An old blessing of unknown origin that hangs over my desk. Thank you for the reassurance offered to all of us with this post.